'Deadliest Catch' star rips 'Ax Men,' questions authenticity of reality TV? ‘Deadliest Catch’ star rips ‘Ax Men,’ questions authenticity of reality TV? 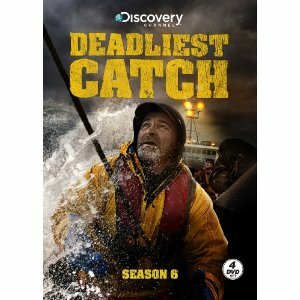 Discovery’s hit series “Deadliest Catch” has chronicled one of the most dangerous professions for 10 seasons. FOX411 spoke to Captain Sig Hansen and his deckhand daughter Mandy Hansen to discuss the perils of working and living on a fishing vessel. FOX411: A few years ago, [you said women shouldn’t be allowed to work on a fishing ship.] Now your daughter works for you. Why the change of heart? Captain Sig Hansen: It wasn’t really my change of heart. It was the fact her passion got her on the boat. She basically blackmailed momma and I to get on the boat. She already had other job opportunities, and I’m not going to let her go work on another boat, and she wanted the experience so I was pushed into a corner.